Having dominated the first half, leading 1-0 through a Roberto Firmino header, they were little short of a disaster in the second 45. Lucas Moura's 70th minute equaliser was a well deserved one for their north London visitors, and they looked to be in the ascendancy as the game drew to a close. It was ​the Reds, however, who would somehow find a winner, and in the most fortunate of circumstances. As the game entered stoppage time, Mohamed Salah headed a Trent Alexander-Arnold cross back across goal, and after a calamitous, panicky mix-up between Hugo Lloris and Toby Alderweireld, the ball edged over the line. 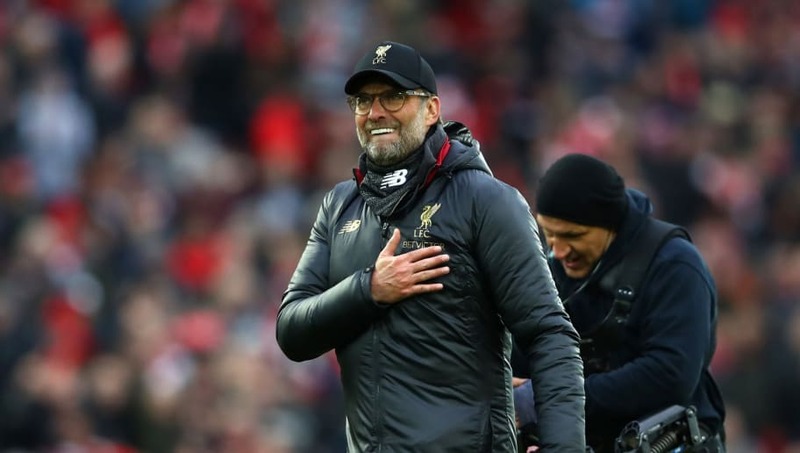 The win sent them back to the summit of the Premier League when all hope had looked lost, and came in strikingly similar fashion to Divock Origi's 96th minute winner over Everton in December. It does leave you wondering if the footballing gods have had enough of Liverpool's 29 year wait for a top division title. One of the overriding narratives to come out of the win over ​Tottenham, which left Liverpool two points clear of ​Manchester City having played a game more, was that it is 'written in the stars' for the trophy to come back to Anfield. If anyone doesn't believe that it is written in the stars that Liverpool will win the league, just see today. The propensity for late goals, in particular, lends itself to that perception. The win over Spurs takes the tally of points earned by goals after the 88th minute to ten in total this season; City, in contrast, have won none. Incidentally, of those ten points, nine of them have been won at Anfield - where the Reds have now gone undefeated in ​36 Premier League matches. Once could be sheer luck, and lighting could strike twice. But to consistently win points in the dying embers of games, it has to come from more than that. Fortune has been on their side; but it only comes about thanks to their fitness, self-confidence, and willingness to play to the whistle. Since the introduction of the Premier League era back in 1992, Liverpool have scored 33 stoppage time winners. For context, Arsenal come in at second with 25, while Tottenham and Manchester United occupy joint third on 22 apiece. You only have to look at the great ​Manchester United teams under Sir Alex Ferguson to see that it can happen. The infamous 'Fergie Time' mythos only came about thanks to the abundance of late goals they scored, and with that came an unparalleled abundance of trophies.